as with so many InDesign features, you sometimes really have to hunt for them — or come across them by accident. that this groovy little feature is not documented anywhere is beyond belief — but that’s adobe for you. this one will save you a heap of time — especially when you’re under the gun from an antsy client. but you first have to gain access. now, whenever the pressure hits, just add all your text, images and other graphic items to a page and activate the tool with your shortcut. 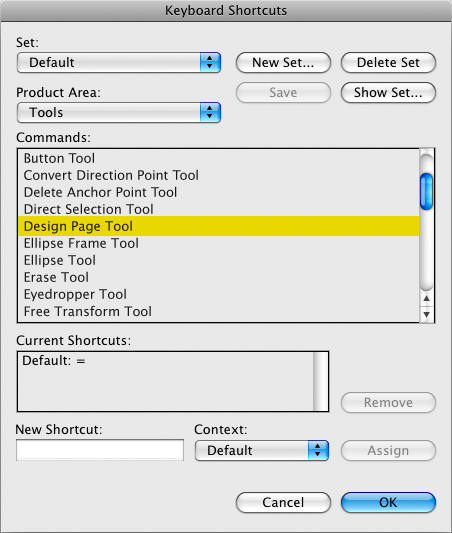 This entry was posted in indesign, indesign tip and tagged adobe, design page, hidden tool, how to, InDesign, keyboard shortcut, tip, tutorial by macgrunt. Bookmark the permalink.